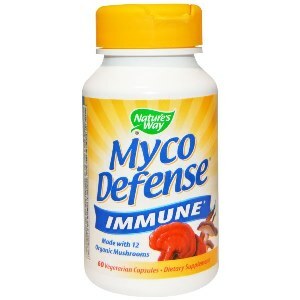 Nature's Way Myco-Defense is a blend of 12 nutritional mushrooms for increased immune response. 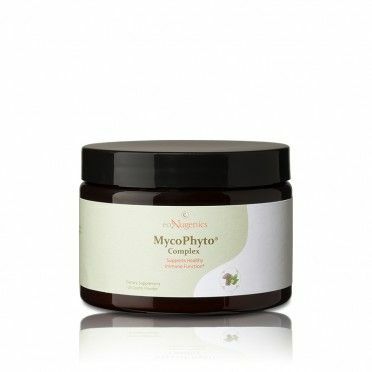 Myco Defense features maitake mushrooms used in traditional chinese medicine for its immune stimulating properties. 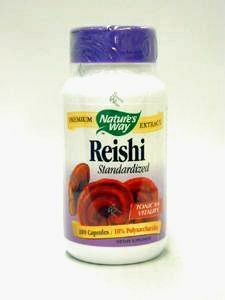 Reishi mushroom is used to support the liver and kidney function. 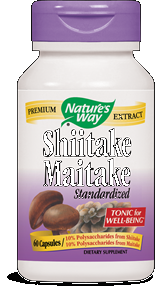 The Shiitake mushroom is famous for its anti-viral as well as its immuno-stimulating properties, and cordyoceps. It is a mushroom containing gentle ginseng like properties to combat fatigue and boost energy. 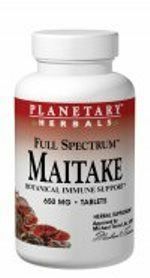 Eight other mushrooms and ginger compliment this immune boosting formula which is absorbed up to three times better than other mushroom blends. And all the ingredients are 100% organic so purity and quality are assured. Contains NO sugar, salt, yeast, wheat, corn, soy, dairy products, artificial colors, flavors or preservatives.